Many details of Saturn appear clearly in infrared light. Bands of clouds show great structure, including long stretching storms. Also quite striking in infrared is the unusual hexagonal cloud pattern surrounding Saturn's North Pole. Each side of the dark hexagon spans roughly the width of our Earth. The hexagon's existence was not predicted, and its origin and likely stability remains a topic of research. Saturn's famous rings circle the planet and cast shadows below the equator. 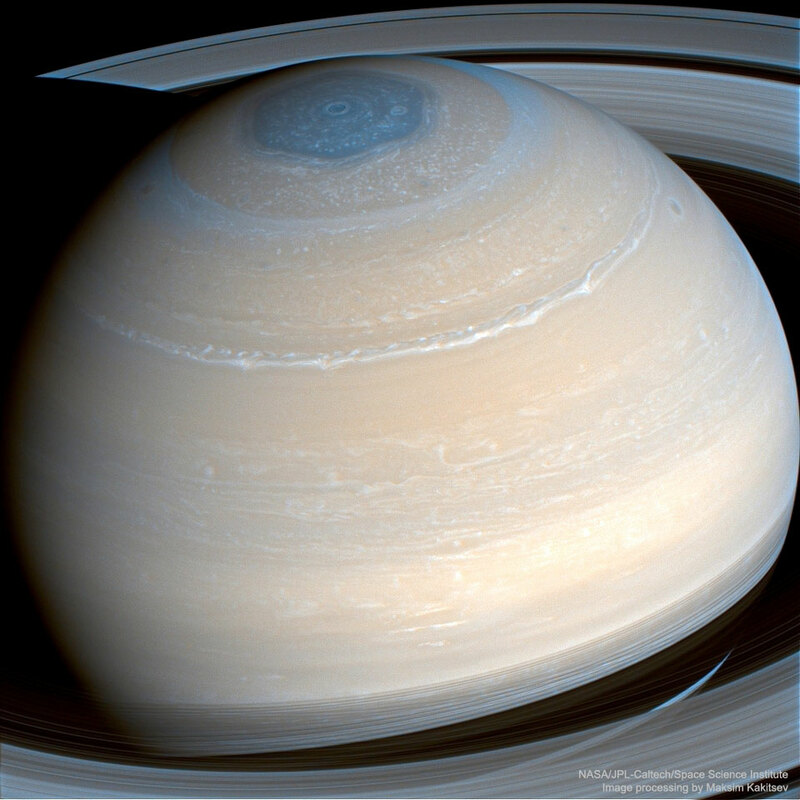 The featured image was taken by the robotic Cassini spacecraft in 2014 in several infrared colors -- but only processed recently. In September, Cassini's mission will be brought to a dramatic conclusion as the spacecraft will be directed to dive into ringed giant.